Here we are with one of my bikes, and this is a great period in my life, this is a 1974 TY250 Yamaha and sure is a fun machine. 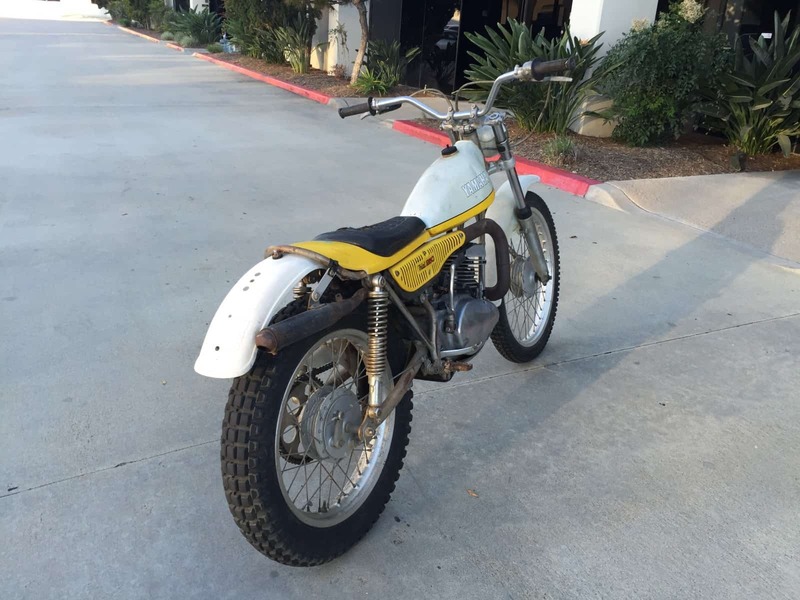 This bike fires up first kick and is reliable as hell, so if you are into Vintage trials, this is perfect for what you want. 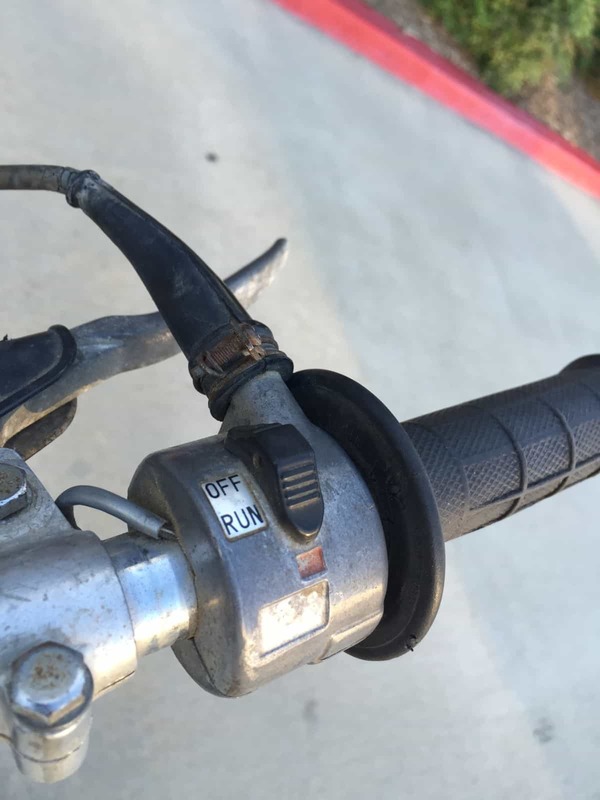 This has all the parts and everything is great on the bike, it runs, stops and all the gears and clutch function very well indeed. Original parts all through out, no repro parts at all, I have a tail light I need to fit back on. 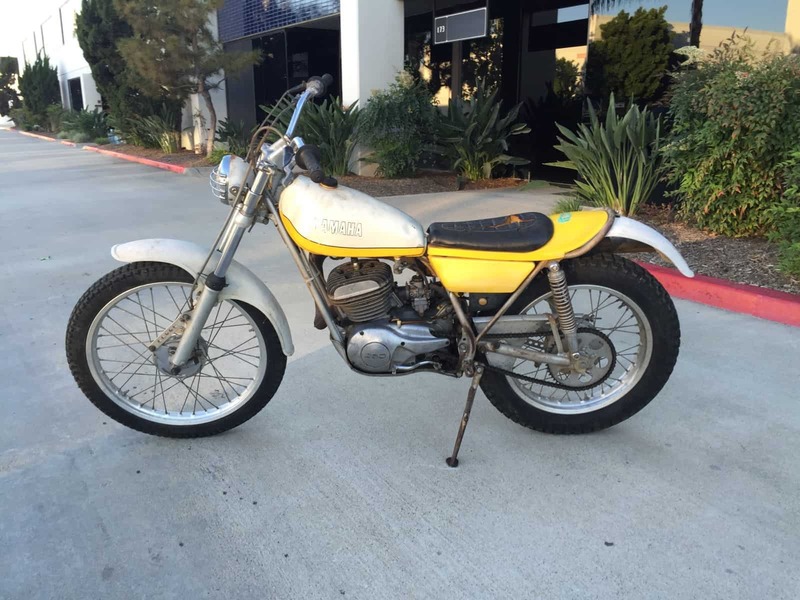 Ride for fun or easily restore to show condition. I am in Anaheim and can send video and photos, you can also email me on carpy@carpyscaferacers.com or drop a dime to me at 714-598-8392. 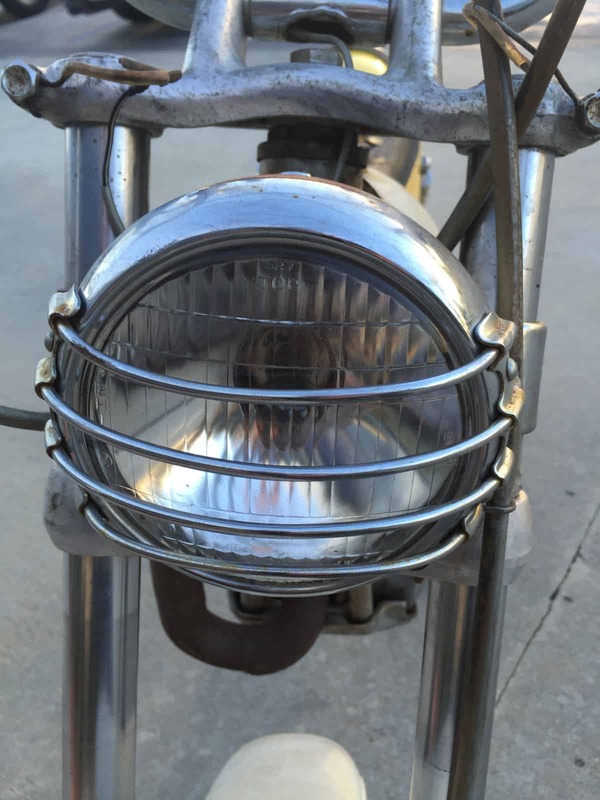 Headlights are getting hard to find also gas tanks too, so, a perfect opportunity to grab this classic and have some fun with it. 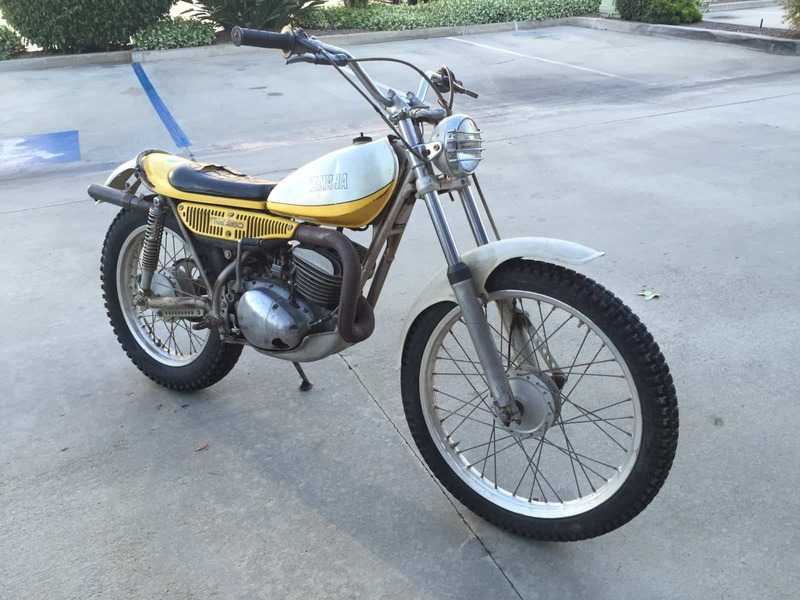 There seem to be quite a few Vintage Trials bike clubs popping up these days, so you should be able to go out and compete on this with no issues at all. 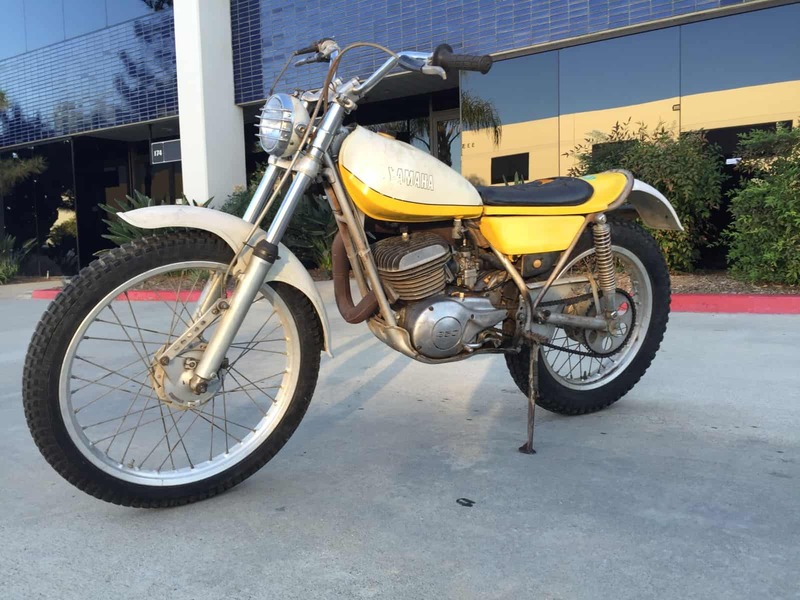 This 1974 Trials bike, designed by Yamaha and Ridden by infamous Mick Andrews, blew the trials world apart when they debut this machine. 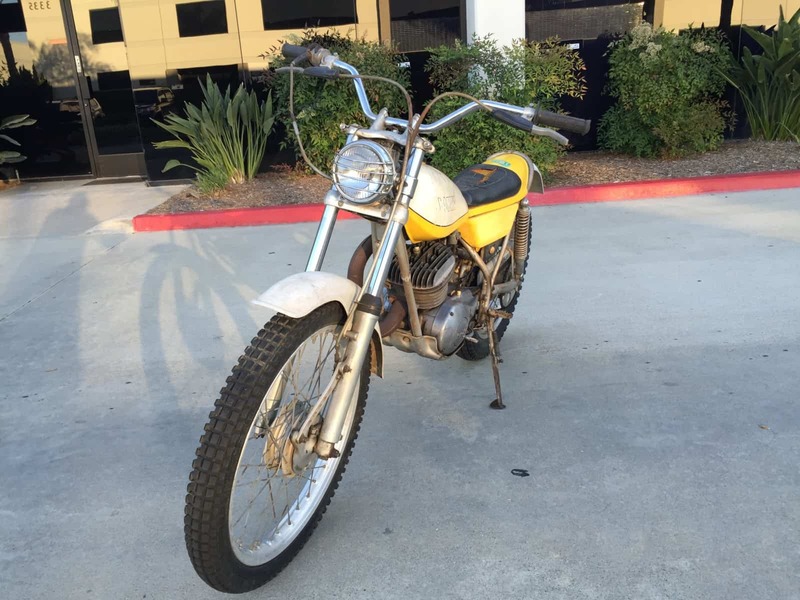 If you are into Nostalgia the way I am, you will appreciate this original Motorcycle. 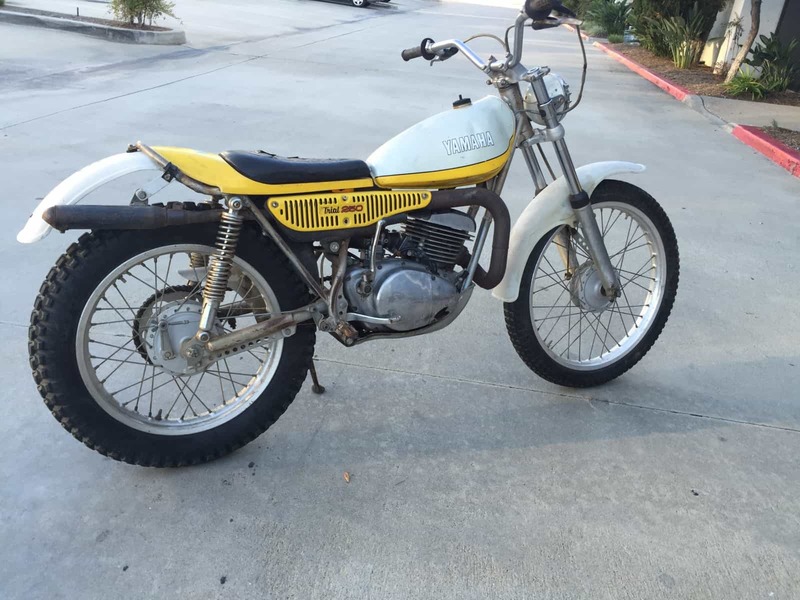 A fun 250 CC legend of a bike. Here it is right now and how she sounds and I am running Castrol R too. 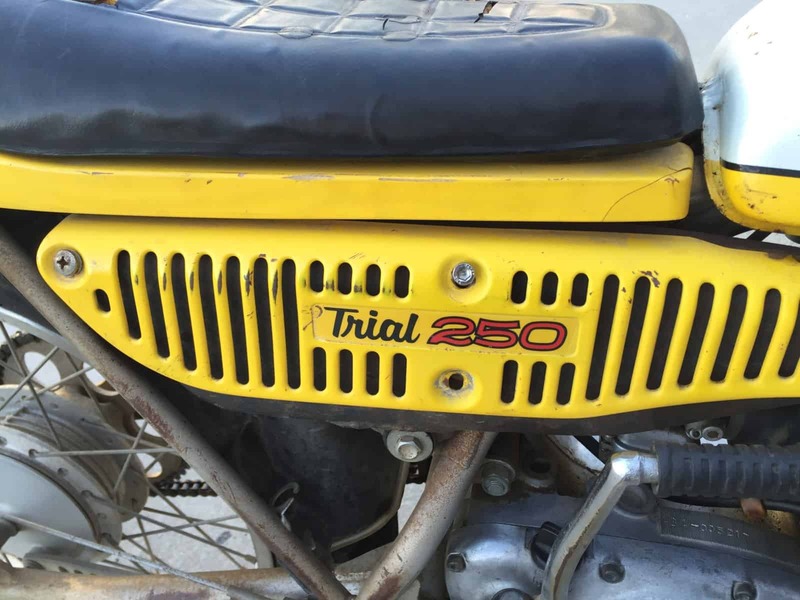 This entry was posted in Blog and tagged 250cc, classic motorcycle, Classic trials, Dougie Lampkin, ISDT, Japanese trials, Mick Andrews, Off road bike, Rock crawler, sammy miller, Trials bike, ty250, Vintage trials, yamaha. Have Fun this weekend with your Motorcycle.